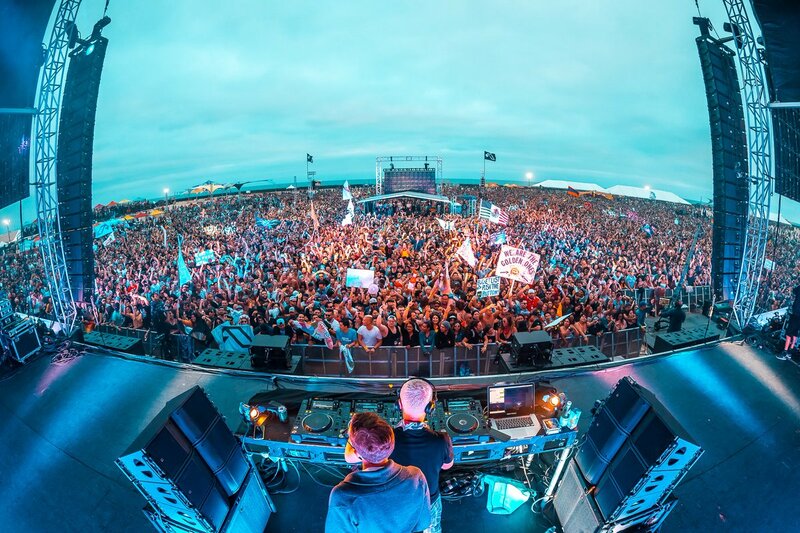 Above and Beyond featured their once in a lifetime Anjunabeach event this past Saturday at Huntington State Beach, CA. The beach festival included special sets from Luttrell, Lane 8, Mat Zo, and even an Above & Beyond Yoga Set. What was expected to be a warm and sunny day at the beach, turned to be an overcast, cold day. After hearing feedback about the festival site, it was probably best that it wasn’t a hot, sunny day. Unfortunately many that attended thought the overall production quality and attention to detail was lacking. Many users on Reddit expressed their thoughts of Anjunabeach and what needed to be improved. One user stated that, “A lot of the setup and execution of Anjunabeach SoCal was done below standards of basic safety, and this should be unacceptable moving forward.” For example several users that attended the festival agreed that water, a basic necessity, was near impossible to obtain. First, they were not allowed to bring water in, and second, water was supposedly sold out to purchase. Additionally, water refill stations were said to be difficult to find and also running low. If it were a hot and sunny day, many people’s lives would be put at risk. If this wasn’t enough, there were also complaints about the security stations entering the festival. Some claim that security didn’t perform full pat-downs or check all bags that entered the event. Lastly, many thought the stage and overall production venue was too small for the crowd size. We’re hoping that if Above and Beyond hold another Anjunabeach event in the future, improvements will be made. If you were at Huntington Beach for the event, we’d like to hear your thoughts! What did you enjoy and what could be improved upon in the future?